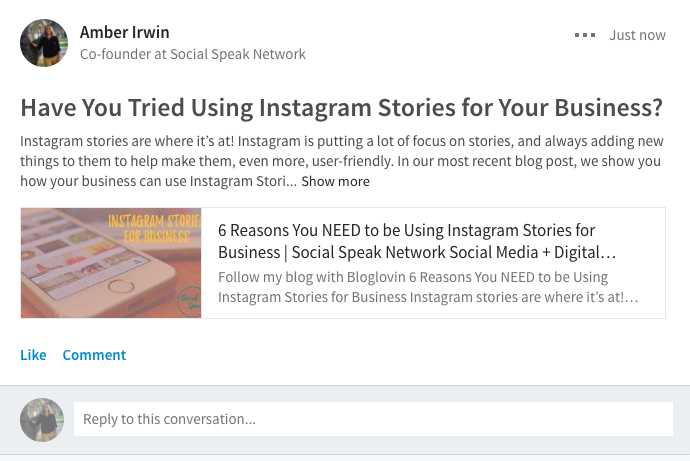 In this overview we review the topics covered by Social Speak in April, 2018. Are you SUPER excited that you just got done writing a 2500+ blog post? If you are anything like me that is a HUGE accomplishment! It can take a lot of time to compile a long blog post, but it is well worth it! Bravo! When I started blogging I didn’t realize how important blogs actually were, what they were doing for our business. Blogging was something I always passed along to Caitlin because in my eyes she is an amazing writer. But this year I have taken on the task of writing blogs as well and getting to that 2500+ word count can be tough sometimes. in this blog today I want to talk about how to share your blog post from your website to the world. 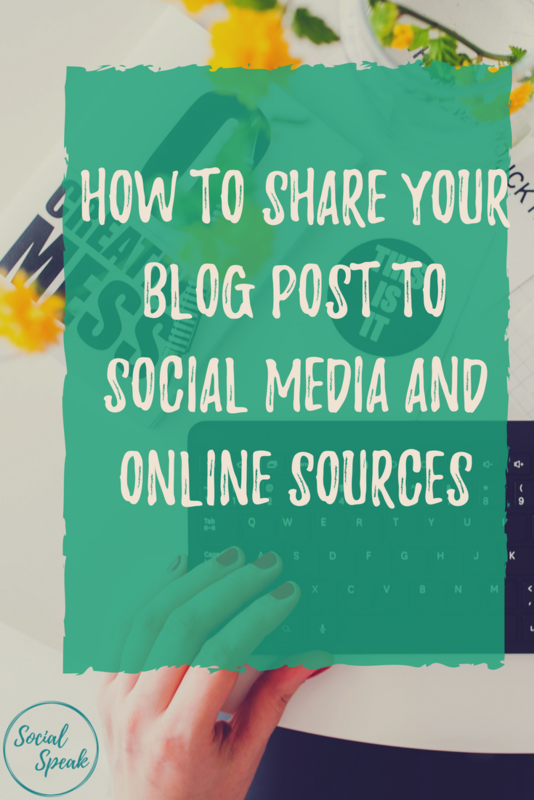 We cover a lot of different ways you can share your blog. So, how do you get your blog from your website to all these sources? It is quite easy. In just a few clicks you can have your blog off into the internet world for everyone to see! Are you ready for that? 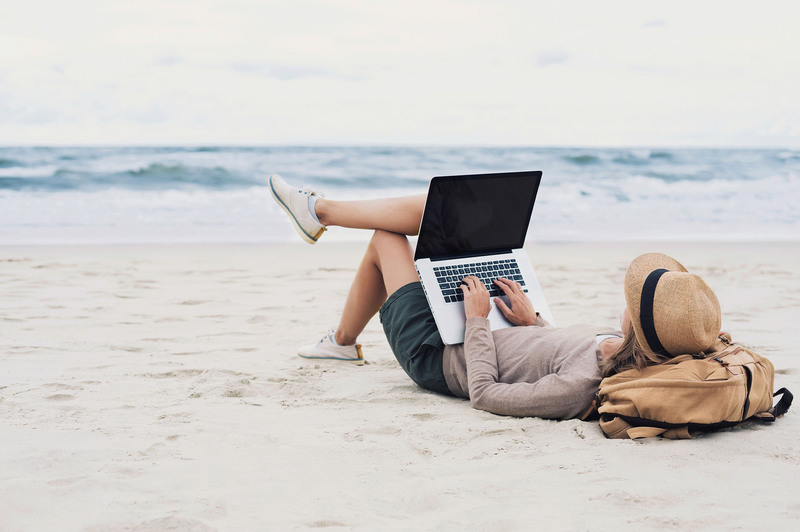 Writing a blog post can be a scary thing, you are putting yourself out there, providing valuable information that other people are reading and consuming. 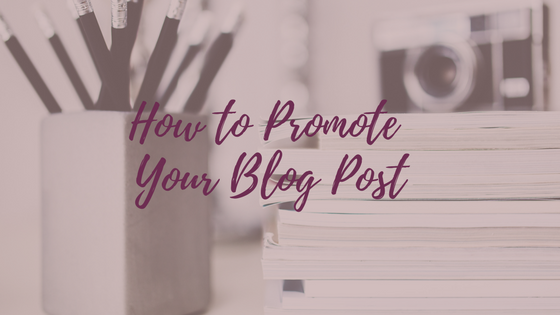 It’s one thing to just write blogs and have them on your site and it’s another thing to really start promoting your blogs and driving that traffic back to your site. For a long time, we would write blogs each and every week, have them posted to our website and then just push the link out to Facebook, Twitter, LinkedIn. Well, that is one way of doing it, but it’s not going to get you the traffic you are wanting. Let’s talk about ways to promote or social share your blog. Once you have your blog post it is important to get it out to social media, but remember not every social media platform is the same. You need to adjust the content for each platform. Facebook – You can share your blog on there and have the first paragraph of the blog and then link, you also want to share the blog post to your business page, groups and depending on the blog you may want to share from your business page over to your personal profile for friends and family to see. Twitter – With only 280 characters to use for your tweet, you need to be creative when sharing on Twitter. Sometimes you will need to use #Hashtags within the content if you can’t fit them at the bottom. You want to make sure you get your link and at least 5 #Hashtags in your twee. Short, Simple and to the point! What are they going to learn, what’s in it for them on your blog? Pinterest – Now, I am going against the grain here, Pinterest really should be categorized under “Search Engine”, Pinterest isn’t really a social media platform, it is a search engine, a place people go to find information. People usually think of it as social media so that’s where I am going to talk about it. Surprisingly we get a lot of website traffic each month from our Pinterest account and we have only had our Social Speak account for almost 6 months! Which is great for us, we can see that it is working. The key when sharing your blog post is creating an image within your blog that is the correct size for Pinterest. You can see how Caitlin has a large image in the middle of this blog here, I will also add one to this blog below. Having the correct image sizes for each platform is important and you can do that in Canva. 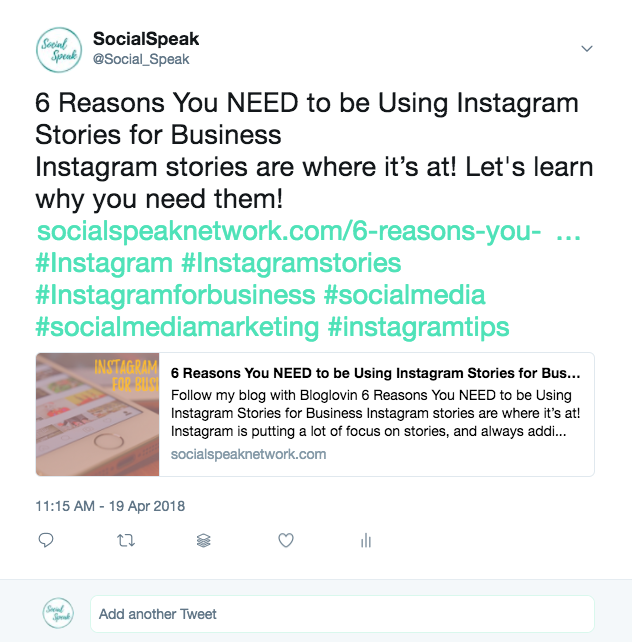 Instagram – Here is where it gets a little tricky with sharing blogs on Instagram since you can’t have links in your content area until you reach 10,000 followers. We are not there yet but on our way! So, this is what I usually recommend, when our blogs use to be 300 words we would place the whole blog on our Instagram account with image and then say check out more blogs on our website, link in bio. Now, that our blogs are much longer, it’s too much content to put on Instagram, what we do is highlight with points what your blog is about, what benefits they would get out of it and then say check out our blog (Link in bio) for more details on TOPIC OF BLOG HERE. Remember to use hashtags, we say to use anywhere from 3-10 within your content area and then up to 30 as a comment after your post. That is more of a personal preference. LinkedIn – Least but not last LinkedIn our forgotten gem! LinkedIn is AWESOME for group postings. We always share our blogs to our personal profiles but then we take it a step further are share our blogs to 3-5 groups per week. We handpick these groups so we know what each groups target market is. 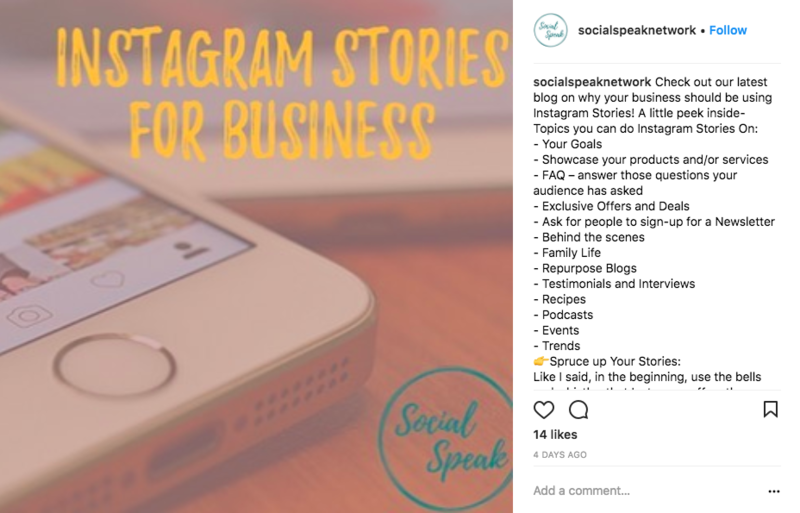 We turn the title of the blog into a question, for example, the blog we have been highlighting we turned the blog title from “6 Reasons You NEED to be Using Instagram Stories for Business” to “Have You Tried Using Instagram Stories for Your Business?. This helps increase the discussion within that group. Now, that you have shared it on social media to your networks it’s time to blast it out to the rest of the world. Bookmarking is a great way to get your blog out to people that you are not connected with online already. 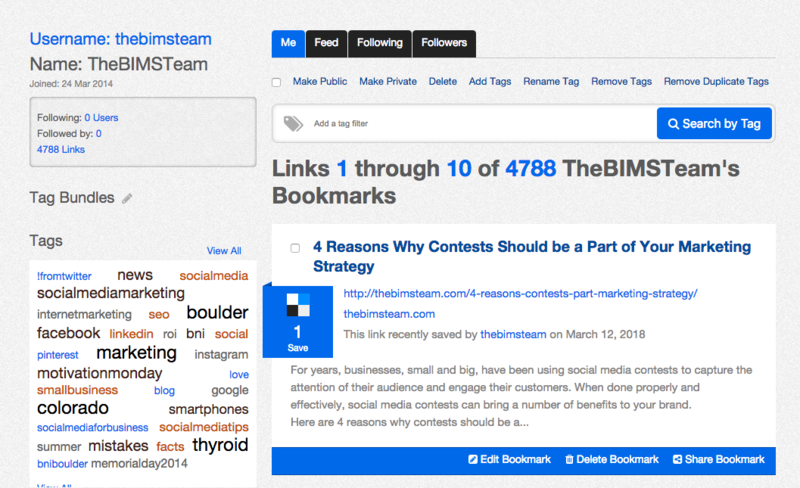 What is Bookmarking? It includes different websites that you can enter your own website, blog, videos etc too. People all over can then easily search for different topics and services and your website, blog or video would appear. People have all different sorts of ways they like to collect their information online. Here are a few of the bookmarking sites we recommend. StumbleUpon – This is a site that people can go to and search all different topics and interests. StumbleUpon is a discovery and advertisement engine that pushes recommends of web content to its users. You can sign up with StumbleUpon through Facebook or your Google account and start posting! Digg – This is one of the top bookmarking sites out there right now. 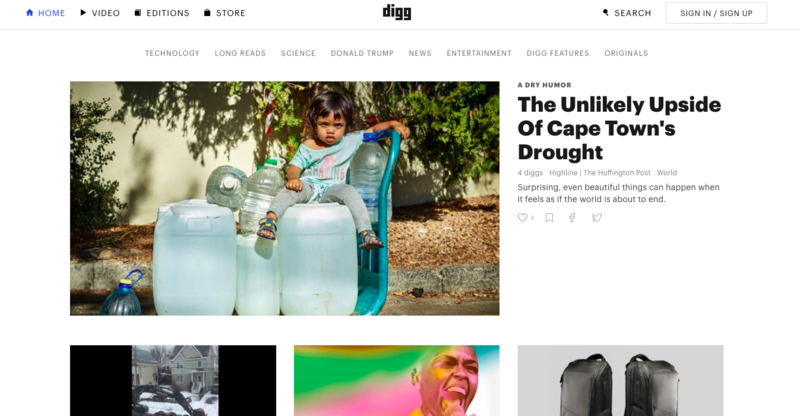 The way Digg is set up is more of an online magazine, I like the layout of this bookmarking site better than some of the other. There are millions of users each month so you have the opportunity to get your blogs out to millions through Digg and drive traffic back to your website. You will need to register your website and yourself on Digg in order to post. Reddit – This site is really all about creating an online community to share stories, links, images and more. This is a hot platform to market your website, be consistent with sharing your blog posts here, this also acts as a social media platform because you are like, comment and share. We found this tool, that we use for a lot of our larger clients who we are blogging for, we are all about working smarter not harder. There are a ton of bookmarking sites and just that one task can take an hour each week, who has an extra hour laying around? Not me! There is a tool called OnlyWire this automatically pulls your most recent blog posts and puts them to over 10 different sites, including Tumblr, Reddit, Medium, InstaPaper, LiveJournal, Folked, FeedSpot, Blogger Slashdot etc. Some of these sites I haven’t even heard of HA! It can also post to your social media, but I do not recommend that. Take advantage of this tool for the bookmarking sites. I think it costs $59.99 a year! It does drive traffic to your website with all these backlinks. There is that magical list you have been growing for years now that you need to start reaching out to more, right? Your email list is GOLD if you use it correctly. 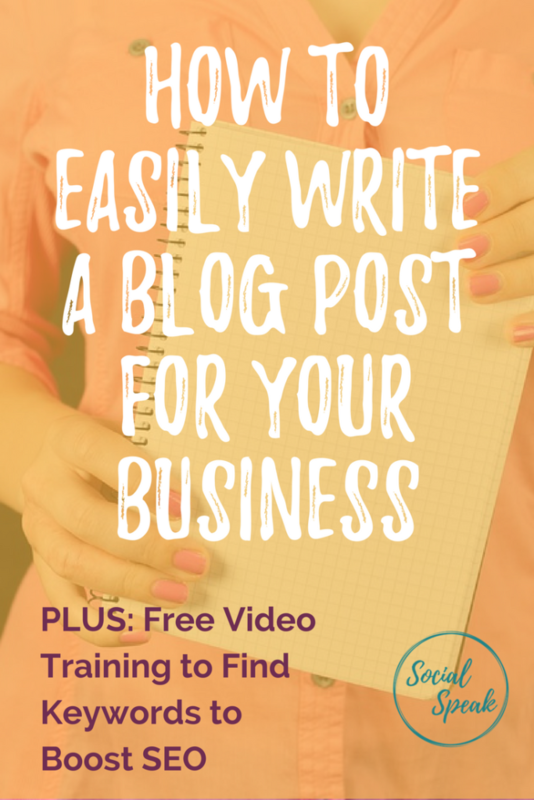 Each blog you post can be a resource for your email list. You can create a plan for your blogs, maybe 5 steps to SOMETHING and each step was a blog. You can then share this blog series to your email list, add a custom video for this particular email. Or you can have one email be the first blog and video then set up your automated camping for your the rest of the blog series. Be sure to give some exclusive content for that email, you don’t JUST want it to be your blog. Keep your readers engaged and give them TONS OF VALUE. We wrote a blog post awhile back “Best Practices to Engage Your Email List” that is a good place to start on how to create a great email campaign. How can you add value to your newsletter and promote your blog at the same time? Set up an interview with someone that has succeeded with what you are talking about. For example, let’s say we write a blog on how we use Pinterest to grow our business by 65%, we have our blog that outlines and tells our story, but what if we did an exclusive video interview with another business owner that had similar success with Pinterest that JUST our email list would see? What 5 benefits would your list walk away with? Feature a Guest Blogger you can ask a guest blogger that has a similar interest or insights to your topic you are covering and ask them to write a short blog/article for your newsletter or email campaign. This would be someone who is like-minded and like-hearted to you, someone who shares the same target market, someone maybe you could partner with or you would feel comfortable sharing with your list. Exclusive Offers this is another way you can promote your blogs in your email campaigns and newsletter, giving your audience value is KEY! Offering them something such as a free download, free video series, free consultation to talk them through a process, help them solve a problem. Let’s show the world that you are an expert in your field! Once you create your account you pick the topics you are interested in learning about and then you pick the topics you know most about. 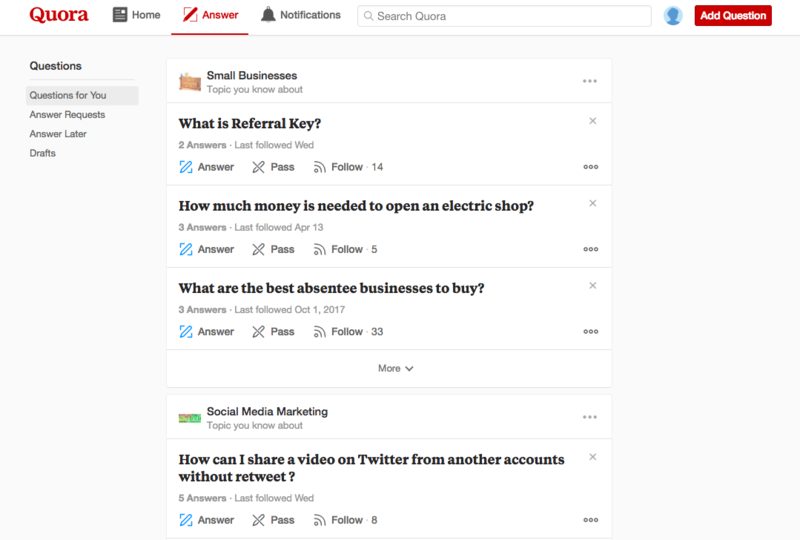 People use Quora to ask questions, this is where you can chime in, you can look for those questions in your expertise and answer them, link back to one of your blog posts. At the top of the screen you can see Home and Answer, click on ‘answer’ and based on those topics you put in place that you were an expert in, you can answer these questions. This is a great way to reach your target market by solving a problem for them. You can clearly see there are many places to share your blog content for FREE, oh yeah! Besides the OnlyWire app all of these outlets I spoke of today are all FREE! Who doesn’t love FREE? Create a system for sharing your blog post. We write a blog each week along with a video and that blog post gets posted to our site on Tuesday’s and then from there I pull out my list (or this blog) and go through each platform. I am not going to make you print out this whole blog post, so I made a quick cheat sheet for you. You can download below. Hope this helps! Cheers to your blog sharing! Have you had a chance to read Caitlin’s blog post from Tuesday? She really helps break down the process of writing a 2500 or more blog post. The key to writing a good, long blog, is to break the content down nicely into chunks and make it look ‘pretty’. In this video, we walk through the backend of WordPress to show you how to add your Header 3 Tags, break up your content and more! The font and color for your header tags can be changed within your theme settings. You’ve been told that you need to write blogs for your business, you now understand these blogs need to be >2,500 words, but how do you find the time in your schedule to actually write a good blog post? 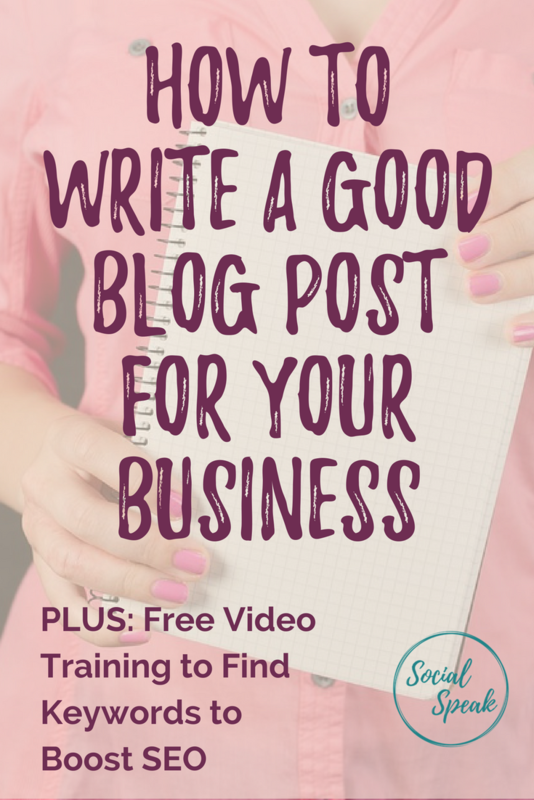 In this post I’ll be going through my top tips for writing a good blog post quickly. Ok, so let’s jump in an get started. First and foremost, when you write a piece of web content, it should be about something you are knowledgeable about. 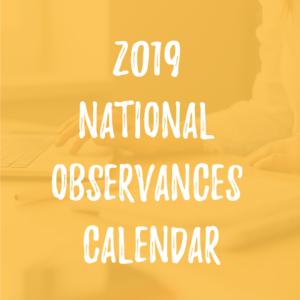 As you are creating your content strategy and your blogging calendar, try to include blogs that are timely and relevant, but make sure you feel comfortable actually sharing information on them. A 2,500 blog post may seem daunting as you are getting started, but it really doesn’t need to be when you follow the tips outlined below. Before you even get in the writing zone, do a quick Google search about the topic you want to write about. Remember, you want to get a sense of what those related keywords are to include in your content anyways, so this step has a dual purpose. For this post, my search was for Write a Good Blog Post Quickly. Hey! That looks right on the mark for my blog post. These are great tips, but again, I want to be more technical in this blog post on easily creating systems for writing a blog post quickly. Don’t worry, my efforts to research what other people are already writing haven’t gone to waste. Then … CLOSE THE WINDOW. This is your blog and you need to make sure you aren’t plagiarizing. You want to make the blog post your own not a word by word replica of what you just read. So why is it okay to open up an article or two that just don’t include the information you want to include? Well… It could be that you want to write about something completely off the grid or it could be that nobody has actually taken the time yet to post a detailed enough guide on the topic you want to explore. If I open up an article that just doesn’t seem to include the information I want to share, I take a moment to consider what I would include in my blog post that is missing from the blog I just read. Not sure what Keywords to include in your Blog? Let’s go back to 5 Ways to Write High-Quality Content – Fast. Though the author has some great content tips, he’s missing some major items that help me write my own blog posts effectively. Transcribe audio or video to create not only great written content for your website, but also to include multimedia in your blog posts. The post also has an incorrect fact about how short, concise content is the way to go. You don’t want to ramble on and on, but you want to give valuable information that will actually benefit the reader rather than a quick 300 word blog post (I’m already at 800 words and only on tip 2 for writing high quality blog posts quickly… you better buckle up). Creating a list of what is missing from the example blog posts will help you create an outline for the informational blog that you want to write for your website. You now have the list of elements that are typically included in blogs related to your chosen topic. You also have the specifics that are missing from the posts that you would like to include in your blog post. 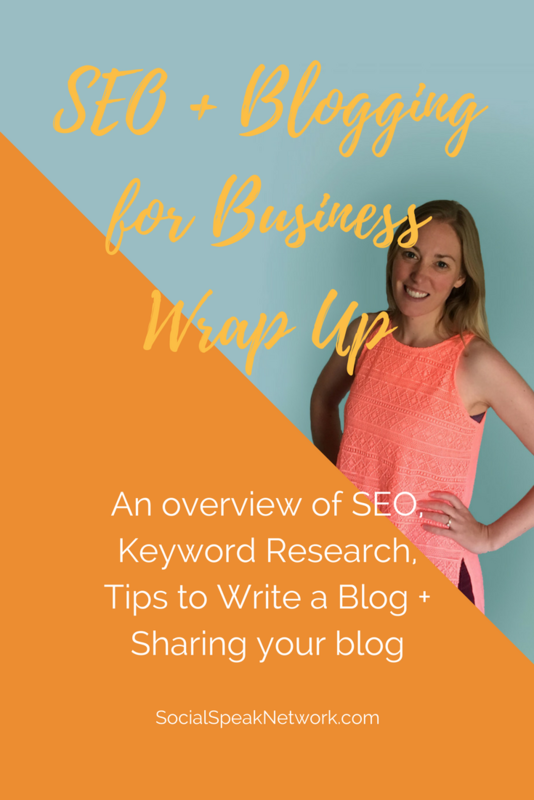 AND, from before you even started your blog, you have the keywords you wish to include and the related keywords from Google. Even though you already have this information compiled, I always find it helpful to write an actual outline for your blog post. You are a busy professional who will get called into a meeting or be interrupted by a conference call. You are a mom (or parent) like Amber and myself who will need to change a diaper, make sure homework is getting done, or run their child to T-ball. Do you really have the focus to write 2,500 words in one sitting? As you get interrupted, it may feel like you can jump right back into the task at hand, but in reality, it takes your brain a few moments to get back on track and figure out where you are with your blog post. Creating an outline allows you to more easily spend 15-30 minutes here and there on the blog without out feeling like you are spending half the time rereading what you’ve already written and trying to decide where to go next in the blog post. Having an outline also keeps you on track for the final parts of your blog. Many writers often cut their blog short towards the end because they are just over the process of writing. Having an outline allows you to take a break, but not loose focus. This process is called Batching your time (see I am including some of the information from the blog post example). As I just mentioned, batching your time is the process of focusing on one at a time rather than trying to multitask. Here, it means not checking your email or jumping to Facebook while you are writing. Each time you shift your focus, your brain needs to reorient itself. Focus on each step in sequence: Keyword research and finding related keywords, researching similar blog posts, creating your outline for your own blog, actually writing the blog, going back and editing the blog, finding images for your blog, writing the title of your blog post. Don’t try to edit your blog post until you’ve gotten all of your information down. If you realize you need more information to write thoughtfully on a topic, but you’ve already done your initial research and are in your writing stage, make a note and then jump to the following section that you can write about. Unfortunately, if you jump back to reading articles, trust me, your blog will take 10 times longer to write. So again, you want to think of writing your quality blog post as a process. Just like anything else in business, processes help to make you efficient and effective. Batching is one way to help you write your long blog post quickly. This is one of my favorite tips for busy professionals who just don’t seem to have the time to get into a writing groove. 10 minutes of audio creates a blog that is about 2,500 words long. So, after writing your outline for your blog post you could use an audio converter or record a video to transcribe your words to text to include in your blog post. Some tools I recommend are Google Docs and YouTube. Let’s take a look at Google Docs first. Head on over to Google Drive and click to create a new document. 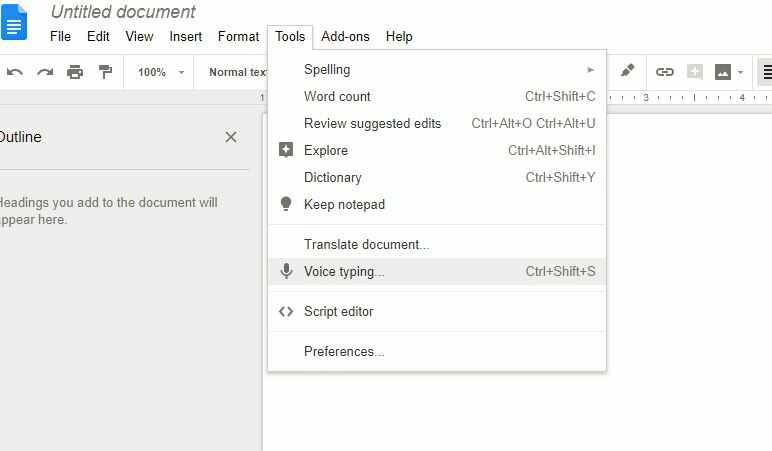 Better yet, you could create your outline as a Google Doc so you can add to it on the go if needed. Under Tools, there is an option for Voice typing (Ctrl+Shift+S). Click this, start talking, and your document will start filling up with words. Now when I do this speech to text, I do find that I need to edit the text as I go. I’ll talk for about 5 sentences, stop the recording, and then edit what was written. You may be able to do the entire document based off your outline and notes, however. The iPhone speech to text works well, as well. I’ve actually ‘written’ blogs while out for walks with the girls, but Apple will stop transcribing every couple of minutes, so you need to make sure you don’t keep talking with nothing being written down. I’m sure there is other software you can use that also records your audio for use in a Podcast. Or you can send the audio file off to Rev.com for transcription at $1/minute. Totally worthwhile if you have spent hours trying to get into writing, but not filling the page with any content. The other option is to use YouTube to transcribe a video. Using your computer camera or your phone, record yourself talking through the outline you created. When you upload your video to YouTube, you may need to first verify your account (enter in your phone number in the settings) to post videos that are over 10 minutes long. Typically, most of our clients who generate a transcription of their blog upload their videos as Unlisted or Private, though I am all for listing these videos as Public to get more of a reach – blogs with videos perform really well, YouTube is a search engine, and you can share your video to social media (always think of how you can repurpose your content as you create it). Make sure the space you are in looks professional if you also plan to publish the video as Public and include it in your blog post. 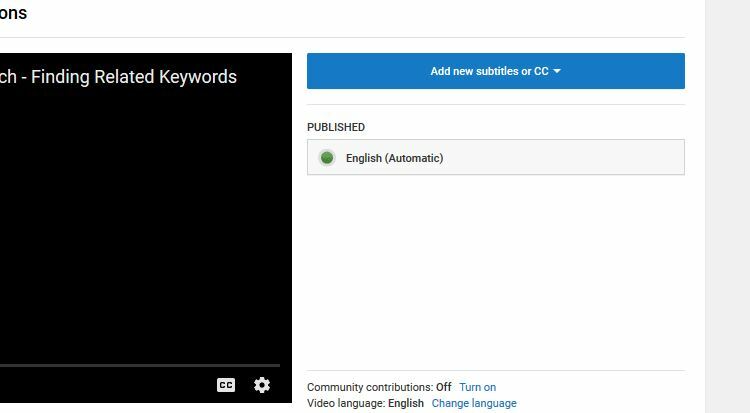 After you have uploaded your video, click in to edit it and find the link that says Subtitles/CC. You will be prompted to select your language (I use English though at times I’m not sure). Then, click under Published where English is listed again. On the next screen you can download the subtitles created by YouTube as .srt. I’m not sure what a .srt file actually is, but all you need to do is convert it to a .txt file online and you will be able to open it with your computer. In the past I’ve used Subtitle Tools for the conversion, though a Google search for “Convert .srt file to .txt for free” will work just fine. The text that is created will be formatted a little strangely with about 7 words per line and no punctuation. Honestly, I get a little overwhelmed by this, but the ability to create the video and written blog in one go is well worth the effort to run through your post and edit it. Your outline makes this easier as well. You can work through small chunks and sections by pasting the text under the corresponding blog header. 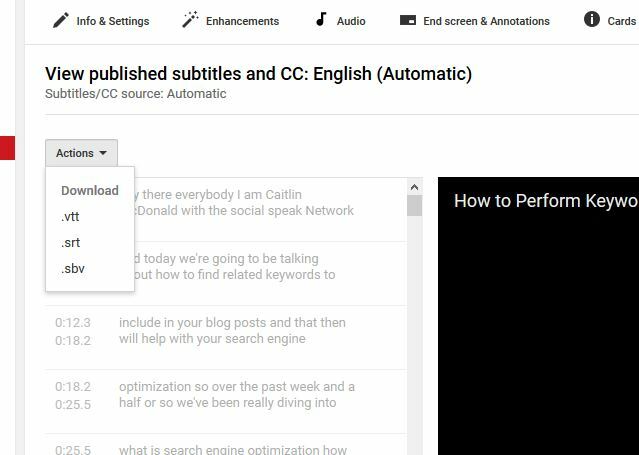 Please let me know if you often work through your transcripts, I’d love to feature more tips about converting a YouTube video into a blog post. Again, if spending $10-$20 isn’t a problem, you can submit the video to Rev.com and utilize their transcription services. We frequently outsource blog writing. I’ll keep this section short, but you can find experts in your industry who cost anywhere from $0.03 per word to $0.65 or more per word. So, depending on your budget and time you have available to provide an outline and edit your blog post, you may decide for yourself what budget for the blog writing really makes sense. We utilize freelancers on Upwork.com and WritersAccess.com to find niche bloggers for our clients. Again, as I mentioned earlier, I’m not an EMDR or Brainspotting expert, so why would I spend hours trying to write that blog post when someone else can write it for a fraction of the cost of my time to research. Depending on your industry, you can also probably find Guest Bloggers who would write a post on your site for free if they can include their bio and a link back to their own website. With Guest Bloggers, just make sure their content is unique and reserve the right to edit it slightly so the headers include your focus keywords and related keywords. I love guest bloggers because they often then will share the link to their own networks or link to it from their website, which then in turn helps get new visitors to your website and helps in SEO. Writing a high quality, long blog post doesn’t need to be a difficult task. Depending on how you work you may find that you are better suited to transcribe and audio or video file rather than sitting down and typing. The most important starting point for any blog, however, is to make sure that you create an outline. I just sat down and busted out this blog before 9am, but it is on a topic I am VERY familiar with (have you checked out our blogging course yet?). You may not have time to finish a blog in one chunk, so be sure to batch your time to most effective and efficient. What long blog posts are you working on writing? I’d love to check out your work! Content is King… When you know which topics you should be writing about. This video is an excerpt from our NEW COURSE: Secrets to Effectively Blog For Your Business (which is included in the membership for our paying members). And how you can utilize these topics to create a content calendar for your business. As you tune in, be sure to have a pen and paper handy to start your brainstorm process. Ahh! Run for the hills, blogging is dead! Wait, what? After all this work blogging every day for 2 months, I’m now saying blogging is dead? Let’s step back a moment. There is always someone talking about social media being dead or blogging being dead, but the truth of the matter is that even if one strategy isn’t working as it used to, another strategy jumps in and takes its place. Let’s take a look at blogging. Most posts on WordPress were only 280 words long. In general, however, for this short blog post strategy to work, you needed a large network and needed to post frequently. 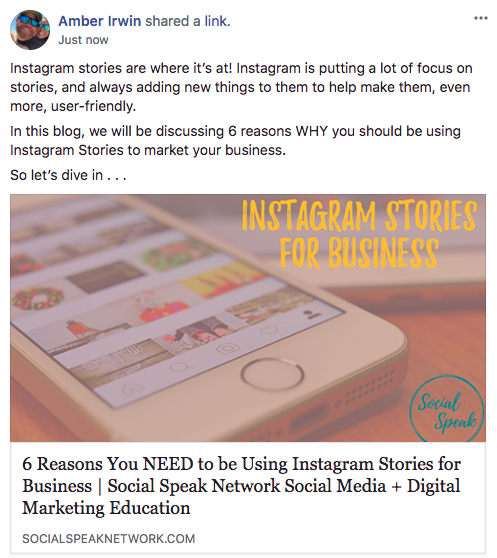 In essence, your blog feed started looking more like a social media account news feed. Around this time, articles also started popping up that stated blogs under 750 words received the most shares, whereas blogs over 1,200 or 1,500 words ranked the highest organically. As the months passed, this shifted drastically! By early 2016, it started becoming clear that not only was content still king, but LONG content reigned top. The longer the content, the more shares and inbound links you would find. But, it wasn’t just articles 1,500 – 2,000 words long. We were now talking 3,000 – 10,000 words long! What this means is that even though in 2015 bloggers were posting short blogs frequently, they were overlooking the importance and response they could get by going more in depth in a topic. Most bloggers weren’t taking the time to go into depth about their topics. The surge in shares for pieces of content that were between 3,000 – 10,000 words went against older common sense that people would lose interest in longer articles. The truth was that these longer articles actually capture more of the reader’s attention! Looking back at 2015/2016 it actually was that bloggers didn’t want to spend the time going into depth. 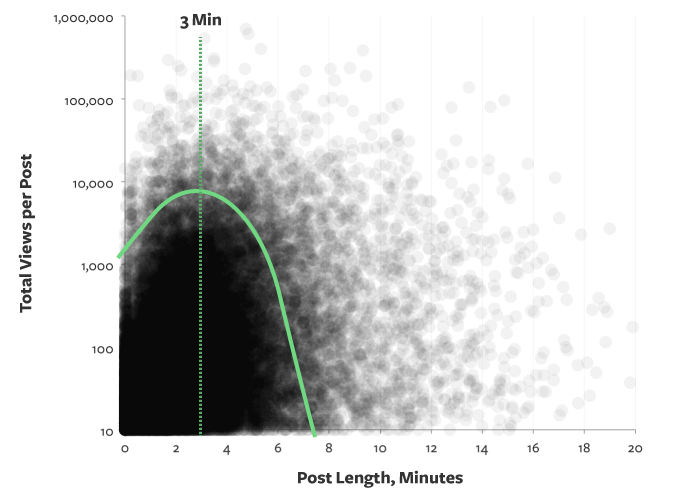 During this time, as well, Medium.com completed a study on the optimal post length to capture a reader’s attention. Not surprisingly, considering the data we’ve already reviewed, the best length was approximately 7 minutes, or between 1,500 and 1,750 words. Again, however, we see the same trend that a majority of posts on Medium represent 3 minute reads. 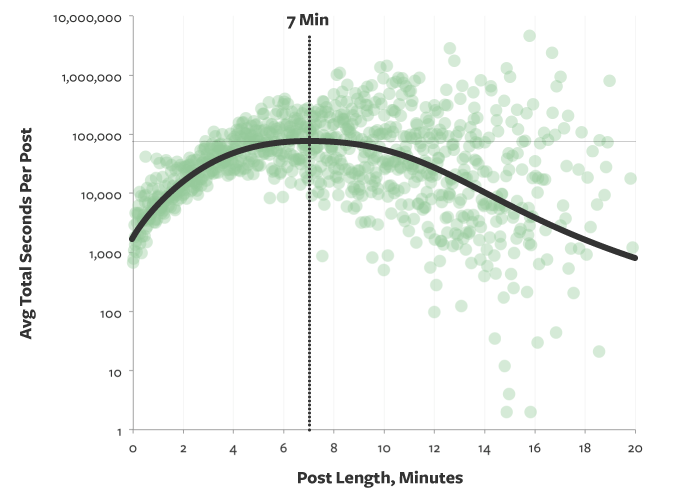 These 3 minute reads were viewed the most frequently, because there are more of them, but the best length for engagement was at the 7 minute mark. Okay, so it is pretty clear from this data that blog posts generally have been getting longer and readers tend to enjoy this longer content. We see this in not only the time people stay on a longer article, but also the number of times longer content is shared and the organic rankings of longer content. This is still all in the past, however! Let’s jump to 2017, what can we do now to make the optimal blog post? Researchers are still pointing at longer blog posts and unfortunately tend to reference older data to stake their claims. There are, however, some incredible insights about what this data now means! In 2017 long form blog posts are where you need to be. It is more difficult for some people to create this content than others, but if you are hoping to use blogs for SEO and to appeal to clients, you need to make sure that a majority of your blogs are over 1,500 words and at least a few blogs every month are in the 3,000 to 5,000 word range. As you write more in depth on a topic, you are utilizing more related keywords. Google and other search engines are able to pick up on these related keywords and understand the topic you are talking about more clearly. Think about it… the longer your content, the more words you use, and the more likely the words you are using relate to one another. You want to be mindful about these related long tail keyword phrases you are using. One way to double check your work as it comes to long tail and related keywords is to simply turn to Google. Let’s say your keyword was Search Engine Optimization. Type this into Google. The text box automatically pulls up other keywords people often search for. Here we see definition, how to do, techniques, etc. These words and others also appear at the bottom of the search results page. Just scroll all the way to the bottom and you will see a section titled “Searches related to search engine optimization”. Each of these words can make great long tail keywords to include in your content. You can also get a sense of what spin you should take in your writing. Are people looking for how to’s and tips or for more informative background or even specific products relating to your content? Include media embedded in your longer blogs to make them more shareable. Longer pieces of content also tend to have more media inserted. Blog posts with at least one image tend to outrank and be shared more than those with no image. When you have a longer piece of content, you also have more opportunities to insert images, videos, and podcasts. Each of these then may appeal to one individual or another. Take the time to build graphs, infographics, and other imagery that can help your content stand out. Additionally, writing longer content creates more opportunities to increase your internal linking and provides more incentive for external websites to link to your content. As you are writing, you are showing your expertise and knowledge on your subject. As you write, be sure to add links to other blog posts you’ve written. These longer blogs also create an opportunity for yourself to then highlight an eBook or freebie on your site. 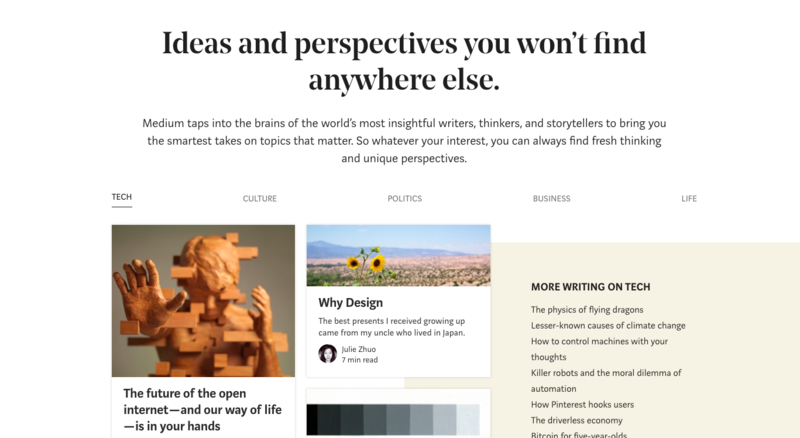 Longer blogs create prompts for additional content on your site. Often times, a longer blog post actually works very well as a starting point for your marketing for webinars and products. When you write the blog you are cultivating the information that can then be shared through different avenues. You are better able to repurpose your information that appears in the blog post. To repurpose content, start with your blog post. This information can then be expanded upon in an eBook, which can be used to collect email addresses. Your email newsletter then in turn works as an avenue to share additional blog posts that are on information related to the eBook. From here, you can measure which topics get the most response from your own market. These topics that get the highest engagement rates, then provide the basis for more in depth blog posts, eBooks, webinars, and finally products that you can sell online (or in person). Each blog post should also be shared on social media, as LinkedIn articles, and through sites like Quora and Medium. Through repurposing the content you are building even more links between pages and reaching even more individuals. Lastly, we need to look at where the industry is heading. In the future, I don’t think studies of blogging will only measure effectiveness based on how many words appear in an article. Recent trends show that it is becoming increasingly important to include video and audio in blog posts. My hypothesis is that the research on blogging effectiveness is going to shift to measure the effectiveness of having these more personal elements. This unfortunately means a lot of us are going to have to step out of our comfort zone! If you take a moment to consider how we choose to work with certain businesses and individuals, it really boils down to us knowing, liking, and trusting the person. Video is such an incredible way to tell people who we are and to show our personality. Wow! Time sure flies. The past 2 months I have been blogging Every Single Day. This was an experiment to not only see the effects of blogging on our business, but also to embark on an educational adventure. Change obviously isn’t instantaneous, but my new attention to the business and writing blogs certainly had unforeseen outcomes. In this blog post I’ll be reviewing some of the trials and tribulations as well as things I’ve learned, real results, and where we go from here. In 2017, I wanted to take a more purposeful interest in our own digital marketing. So many of our clients are through relationships we’ve built offline, that as a digital marketing agency, I knew at some point we needed to start walking the walk. We’ve been cruising along with a 6 figure business managing marketing efforts and doing web design for small businesses, but our own online presence has always been more of an afterthought. After years full of competing commitments and lifestyle changes, 2017 became the clear year that I needed to attention on the business to really get it to the next level! In 2015 I graduated with honor from the Leeds School of Business after getting my MBA while working and running BIMS full time. Then in 2016 we welcomed our gorgeous (and tough) little girl to the world. I was back to jumping on conference calls while breastfeeding within days (probably more like hours) of bringing her home. Though I cut back face to face meetings, I continued to run a networking group and somehow managed to juggle a transition to motherhood as a business owner as we went into our most profitable year in business. However, throughout this time, I knew there had to be an easier way to do business. I love working with clients face to face, but sitting as the face of the business certainly has its pitfalls as you can never really step away. My goal for 2017 is to set the systems in place to redirect our business to less hands on work and more digital assets. Blogging for 60 days straight was meant as a launch pad to refocus attention on the business, our email lists, and ultimately launch a program that could be repeated over and over again. Surprisingly, besides blogs for clients, I had never actually written a post for our site as we always have had interns and contractors writing for us. Not sure quite what to talk about, I followed the advice we give to our clients and created a content plan utilizing Trello as an organizational guide. Before technically starting the 60 Blogs in 60 Days challenge, I was off to a good start with a weeks worth of posts ready as drafts in Trello. About 30 other topics were listed with notes and bullets to make the writing of the content a little easier. Then I jumped in! Zapier: On Zapier I create 3 Zaps. 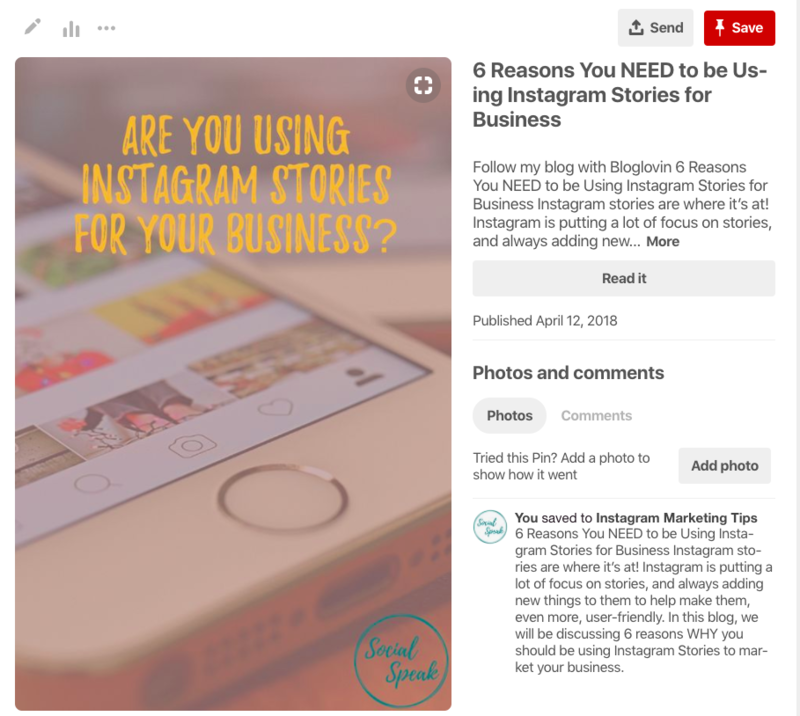 Two Zaps automatically posted the featured image to Pinterest (on 2 different boards) and the third was actually to automatically post our business Instagram images to Pinterest. SNAP (Social Networks Auto Poster) Plugin: This plugin is great for WordPress. It automatically links your blog with Delicious, Medium, LinkedIn, Facebook and other networks so each blog post is published or back linked elsewhere. Though I never quite got the settings figured out for LinkedIn and the Medium SNAP became disconnected, I theoretically had the blogs going out to a handful of networks without needing to do anything else on my end. Finding time to write the blog posts got more difficult, but at the start of the 60 day challenge, I often used Voice to Text while walking our dog. Unfortunately, Mary Kathryn started wanting to walk during our walks rather than just hanging out in the stroller. Once this started, I decided not to multitask and just focused on playing with the girls on our walks. That’s when evening blog writing started and I’d carve out time after dinner to write the blogs hoping I wouldn’t need to finish them during the sacred morning nap time (or as I like to call it, the most productive part of the day). The initial results from daily blogging were fantastic! Within weeks we had seen an increase in traffic to the site. Now keep in mind, like a lot of business websites, our site was really just a brochure for our business should someone we met in person want to read about our services. It was really built as an afterthought, rather than designed to fulfill a specific purpose. We were pretty pleased with the initial traction we were getting from the blogs and actually sharing the blog posts to our social media networks online. To track this, I ran a Google Analytics report comparing the date range of 4/2-4/22 to the previous period. From here, I pulled the reports for Acquisition > Traffic > Source/Medium and Behavior > All Pages to see where people were coming from and what pages they were visiting on our site. Traffic to BIMSTeam.com has INCREASED 117.65%! Pageviews on BIMSTeam.com has INCREASED 83.02%! An increase in traffic of 117.65% certainly was exciting even though our traffic numbers are still relatively small for a 6 year old business making 6 figures. This increase had to be a good sign, right? The only problem was that the site wasn’t set up to capture emails and leads. Once someone landed on a blog, that was that. We didn’t have any freebies or downloads. Recognizing this, my schedule of blogging once per day because a little more challenging. I now recognized that we needed these additional resources as a way to actually capture the leads and again walk the walk of the advice we always give to clients. Traffic to the site is great, but you need to make sure you are being purposeful about what you then DO with those individuals. I haven’t mentioned this yet, but when I launched the 60 Blogs in 60 Days, I also signed up for ConvertKit as a way to provide daily emails to other individuals who wanted to commit to 60 Blogs in 60 Days. The one problem was that the day I first posted the landing page to some Facebook Groups, I immediately got 20 signups in a day. Great right!? Not for me. As I wrote the blogs, I also needed to make sure I wrote the corresponding daily email to be sent to subscribers. These emails include tips, blog topics, motivational quotes, and how to’s for SEO, sharing your content, writing headlines, and so much more. At times I was able to turn the email into a blog post, but often it came down to basically writing 2 blogs Every Single Day. So what did this mean… Well, basically from the beginning I had competing priorities. I wanted to fulfill the challenge myself, but I also had a commitment to the individuals who had registered for the challenge. To date, the landing page for the challenge has a 34% conversion rate – not too bad, ehh?! It was the first landing page I created with ConvertKit, so looking at it now, I would probably adjust the page and content some, but at 34% visitor to lead sign up rate, I may just keep it as is and test a second design if I decide to keep pushing the program. As I also mentioned, I realized a few weeks in how important it was going to be to offer resources and freebies for site visitors as a way to grow our email list. This resulted in me continuing to write the blogs every day, but slowly nearly falling behind as I also was creating guides, ebooks, and a digital course. About 3 years ago or so, I remember stumbling upon the Nectar Creative and loving the resources Melyssa Griffin offered. It seemed really unique to have one signup and then access to her full collection of downloads. Of course she’s now one of the business owners you want to emulate and has done an incredible job growing her business. But, when I first saw her resource library, I set out to recreate all of the resources. Getting caught up in business school, growing a family, and managing every day business operations, I never actually created a single download. Knowing that the best time to plant a tree was 20 years ago, the second best time is today, I jumped in and got started. There is only so much you can do by kicking yourself for not acting on something years ago, but life is about prioritizing, right? For the past few years, my priorities weren’t growing the BIMS Team’s online presence. Now, at last, it is! SO, in addition to the daily blogs and daily emails, I now set out to create resources. As you work on projects like this, it can be difficult to stay committed and focused. Though I’ve always tried to be really good about not multitasking, I began to feel like my head was spinning and I would start jumping from project to project while trying to also finish up web design projects, on-boarding new clients, and fulfilling client obligations. With hundreds of browser windows open, I began scrambling to balance the time I spent educating myself, committing to furthering BIMS, and working with clients. Above this, most days I also had Mary Kathryn by my side. Time management and prioritizing, one my dear friend, became a distant memory. So much for following tactics laid out in the Four Hour Workweek or discussed by Todd Herman. In the span of one month, I went from one neatly organized notebook to a cluttered desk and three notebooks each with meeting notes and to do lists from every day. I’m so excited as a am moving back towards normalcy as it comes to my time management and prioritization of tasks. Beyond slowing picking myself up from complete disarray, a lot has been accomplished in the past 60 days! Actually, even more than I imagined has been pulled together. Granted, some of the blog posts were god-awful and never edited and I think some may have been published without actually being completed, I did fulfill my goal of posting a blog every single day for 60 (actually 64) days. But above and beyond that, through emphasizing a commitment to my business, I’ve begun creating some REALLY great resources for business owners, people just starting out, and bloggers. This Website Planning Guide: A free workbook that covers the steps you need to take before you start designing and developing your own website. It includes prompts for your brand values, fonts, and colors, as well as a step by step guide for writing you About, Services, and Product pages. My goal is for this to turn into a Website in a Weekend Program for those Do it yourself-ers who want to make sure they are building their site the right way without spending thousands for a web designer to build a site for you when you don’t have the money coming in the door. Blogging Your Business: This course was built mostly using content from webinars we ran last year, but also provides the exact template we use to build an editorial calendar, broken down to daily posts, for our clients. It is a go-to resource to understand how blogging can be useful for your business as an avenue to propel growth to the next level. Blogging 101: This is a easy to implement guide for outlining your blogs and best practices for SEO. It is a great tool for those who just need a little extra help outlining their blog topics. [Sign up form is below]. The process of writing a blog every day allowed me to explore certain topics in much more depth than I ever had in the past. It created an avenue for me to actually set aside time to begin creating resources and to focus on the digital marketing for The BIMS Team. We’ve always gotten clients through RFP’s or word of mouth and networking, so a lot of changes needed to take place on my personal accounts specifically and some of the layout of the website. These website changes are almost complete, but prior to a month ago, we had no forms or calls to action. Additionally, as you can expect, website traffic increased as did email sign ups! We currently have 928 active email subscribers, of which 100 are new from the various calls to action and content upgrades on the site! While I wish I could continue blogging every day, the posts with the highest engagement and most traffic were, as you can guess, the longer blog posts. These posts I never wrote in one sitting and very clearly show cased more information than the shorter and sometimes poorly written posts. You can follow the progress and receive free tips, tutorials, and advice on our email list here. Hopefully this overview of my experience with blogging 60 days straight was informative for you and provided advice and guidance that you can bring with you as you create your own blog and digital marketing plan!